Living and working on the Gulf Coast, we are faced with the inevitability of hurricanes. Fortunately, it is a somewhat forecastable event with a defined season. We cannot always accurately predict the worst and must have flexible and responsive plans that can adapt to an ever-changing hurricane impact. During a disaster, the most critical part of a company’s emergency plan is the underlying personal emergency procedures that support you, your employees, and the ability to fulfill work roles. For those responsible for executing this plan, the same attention must be applied to your personal life—including your family and home. If your personal affairs are not in order, it is difficult to perform emergency plans in support of your business. All key company personnel should have a detailed personal emergency plan in place to ensure smooth business continuity following a hurricane or disaster. Planning procedures improve with experience. Here on the Gulf Coast, (unfortunately) we have had many chances to test our emergency plans in a variety of real-life scenarios, including what many label as the worst case, Hurricane Katrina—which heavily impacted a major portion of our regions’ residents and businesses. The shock and trauma of a disaster such as this can have a lasting impact on employees, and requires patience, sensitivity, and support from an employer. 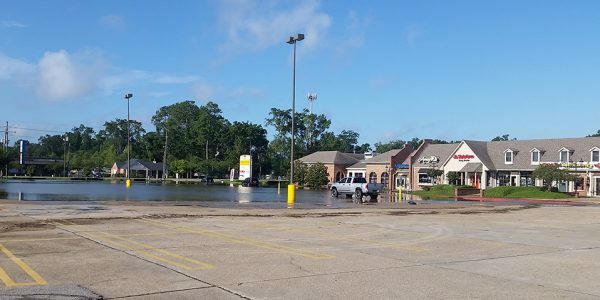 From Hurricane Katrina, Stirling Properties learned that as part of our company emergency plan, we must anticipate the need to assist our employees with basic supplies, temporary living arrangements, home repairs, and insurance claims. A company’s lifeblood is its ability to effectively communicate. With a disaster, you should plan for complete disruption of communications. A rally point or a place to connect in the event of a hurricane should be considered. A toll-free phone number is a good option for employees and customers/clients who may become scattered by evacuation. A shared phone line can help to provide a common source for information, assistance, and flexible response. However, this line must be protected and placed on a network that won’t be impacted by the storm or flooding. Preferably it should direct to an inland office that won’t be affected and can be manned by live personnel. Encouraging employees to be prepared and up to date on the emergency plan for hurricanes should be a priority in the spring of each year. Simple reminders on generator maintenance for their homes, as well as instructions from both your company and municipal authorities on preparation and evacuation procedures that can be shared on an easily accessible company intranet site are invaluable. Also, employees should inform their supervisor of where they will be during the storm and alternate means of contact should local communications fail. 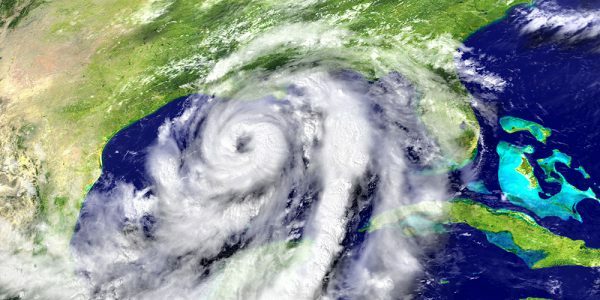 Aligning your resources in advance of a hurricane landfall is a critical step to being responsive, minimizing insurance claims, and reducing damage. 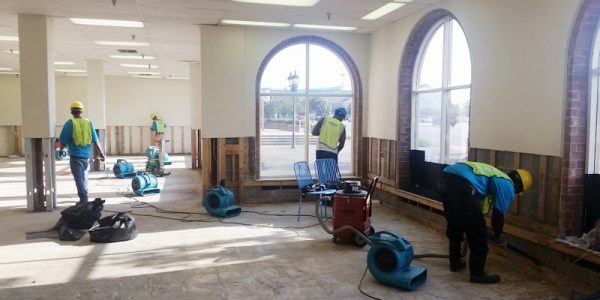 Focus on the first wave of assistance: debris and tree removal, roofers, glass contractors, water mitigation services, janitorial crews, and general maintenance providers. (Stirling Properties identifies a few providers from inland cities that will not be impacted by the storm.) The second wave of assistance includes additional debris removal, rebuilding contractors, HVAC services, and electrical and plumbing services. For this, we focus almost exclusively on local companies for resources so that we are putting local people back to work, and dealing with businesses we know and already have established relationships. Post-storm environments attract vendors and contractors from all over the country and are usually not the best place to find resources. It’s important to have providers identified ahead of time. Insurance is instrumental in planning for a hurricane. Putting your agent and insurance underwriter on notice before the storm is important to assure lines of communication afterward. Some agents go as far as making a claim prior to landfall on heavily exposed properties, putting you near the front of the service line after the hurricane. It is important that your insurance coverage is aligned with your emergency plan to assure that your needs are met and that you are able to take advantage of the benefits of your coverage, particularly as it relates to business continuity. The approach, path, and timing of a hurricane are never 100% predictable—you should always have a contingency plan. Municipal authorities have predetermined plans for announcing recommended and mandatory evacuations that must be understood and considered to plan properly. Activating your emergency communication plan needs to be completed prior to closing your business and employees evacuating. When you will activate portions of your emergency plan and consider evacuation should be well thought out. Consider the timing of events relative to weekends as well. On the Friday before Hurricane Katrina was forecast to make landfall east of Mobile (three days before landfall), we activated our emergency communication plan, only to learn Saturday morning (two days before landfall) that the direction changed towards New Orleans. Our employees were off for the weekend, possibly not monitoring email, and rushing to evacuate for a storm that would effectively stop all communication. Activating our emergency communication plan on Friday (even though we were not in the projected path of the storm) was instrumental in our post-hurricane recovery. Your emergency plan should also consider communications during the hurricane. 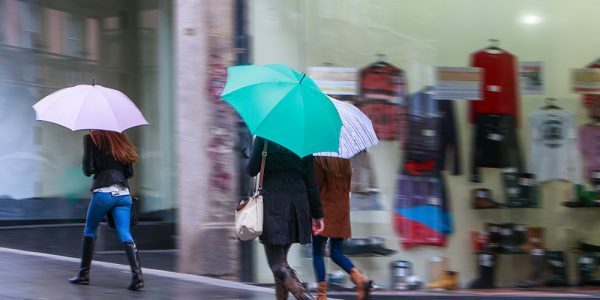 Opportunities to react to property damage early, whether during or just after the storm, are critical for minimizing damage and accelerating recovery. This involves utilizing prepositioned resources such as janitorial and maintenance crews at properties to respond during the storm (we do not condone traveling during a hurricane) or evaluating post-hurricane response to address priorities. Communicating with employees—whether they evacuate, stay at home, or are prepositioned at properties—to confirm their location and safety is a critical step and reduces unnecessary stress. As always, communication is the most critical component. It is important for morale to assure employees and customers that your company is resilient and will persevere. Both internal and external communication through digital platforms, social media, or shared phones lines should be planned to ease implementation and assure a concise, positive message. The second most critical step is helping employees return to work by providing necessary assistance. Sometimes it involves monetary or work schedule adjustments to deal with personal impacts of the hurricane. At Stirling Properties, we have found that in the first couple of weeks after a disaster, a gesture as simple as having breakfast and lunch available in the office has a tremendous positive impact on company morale. It adds a sense of “we,” lessoning personal stress. Helping others following a devastation is the pinnacle of your emergency plan. Aid comes in many forms and is typically dependent on you, your employees, execution of your plan, and available resources. If there is such a thing as “thriving” in an emergency, helping others truly defines what that is. This blog is part of a series, read Part I: Advance Emergency Planning.